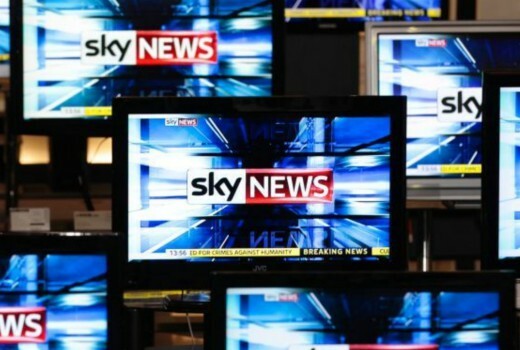 A former SKY News employee, Rashna Farrukh, has written a breathtaking editorial on the emotions she battled whilst working for the news broadcaster. Farrukh, writing for ABC News, describes herself as a young Muslim woman working in a junior role in Canberra. She details the conflicts she experienced whilst news programmes and guests took hardline stances on issues, including her religion. I realised pretty quickly though that the Sky News I worked on wasn’t focused on reporting facts and informing the public. Rather, conservative media commentators came together with current and former right-wing politicians, disseminating misinformation which bordered on conspiracies. I compromised my values and beliefs to stand idly by as I watched commentators and pundits instil more and more fear into their viewers. I stood on the other side of the studio doors while they slammed every minority group in the country — mine included — increasing polarisation and paranoia among their viewers. I’d walk commentators to the studio where after some very polite chit chat — “how are you?”, “how’s uni going?”— they’d go on air and talk about my community. I was there when Cory Bernardi advocated for banning the burqa, and when he called on the government to remove “offend” and “insult” from 18C of the Racial Discrimination Act under the guise of free speech. I was there when Pauline Hanson proudly talked about how she would, the following day, put forward the “It’s OK to Be White” motion to counter the rise of so-called anti-white racism. I watched as Bronwyn Bishop, following the “terror raids” in Sydney, insisting that “war” had been declared against western culture. I answered calls from viewers who yelled about immigrants and Muslims ruining Australia. They did not realise that the person on the other end of the phone was both of those things. And in the aftermath of Friday’s terror attack, Sky’s coverage was among Australian media outlets who played parts of the gunman’s live stream.Some nights I felt physically sick, others I even shed tears in my car on the way home. But Farrukh resigned following incidents on the weekend, concerned at the media’s role in the wider scheme of things. …I felt like I compromised the very reason I went into journalism — a search for truth — for a foot in the door. When I reflected on who I work for and whether I could justify going into work this weekend, I knew what I had to do. Even as young journalists, we should act on our morals now rather than at some point in the future where we assume that we will have more of a say. A SKY News told TV Tonight, “We respect Rashna’s decision and wish her well with her future endeavours. “As a news and national affairs broadcaster SKY News is committed to debate and discussion which is vital to a healthy democracy. The full article is a brilliant read at abc.net.au. So thats 2 factual errors that have to be corrected, after publication at the very start of a career, sounds like the usual attention to detail and editorial standards that the ABC is famous for. This isn’t really a story. A conservative that did work experience at The Guardian or Buzzfeed could write the same article. All I see if a young journalist who was given a good opportunity at a major news broadcaster and was treated well. Also, ask most people at their non media jobs and majority will tell you they don’t agree with how things are run for reasons x y and z. It is a story, because someone left Sky……. interesting the ABC felt the need to publish something slagging off the opposition, when Senators Hanson and Bernadi and Bronwyn Bishop have pretty much said the same things on the ABC over the years. i feel sorry she left her job, but the media is about exposing and airing ideas. You are going to hear stuff you don’t like. Rashna should be given a break given that she was only 19 when she started at Sky. Like many of us, she must have been thrilled to get her first job, particularly in the media which is not easy to do given the number of media school graduates. Yes, she could have done a bit of homework before applying for the job at Sky, but then Sky during the day is okay in comparison to 18:00 – 00:00. Kudos to her for lasting so long at Sky. I suggest that quite a number of journalists over the decades have written remarkable stories when recounting events that have happened to them – and Rashna has done just so this week. Remember that many much older and life-experienced people enter politics with ambitions to make a positive change to society only to find themselves on the back bench having to follow the party line whether or not they believe an all the party line. And yet she stayed there?? Hmm. Hmm, is this story just confirming the opinions of the cynics / critics of the 24 hr news media who see an ongoing ideological battle between well known right wing commentators / columnists and left wing freelance career journalists based mostly in Melbourne and Sydney, especially after Mr Abbott lost the leadership and Mr Trump became President. Sky has become a long running soap box for conservative commentary but not exclusively so as David Speers does try to cover both sides of politics. no doubt those who support Sky News regulars like Mr Bolt will continue to tune in especially while the ABC believes it’s mandate is to represent the sensible political middle ground with unreserved gusto at tax payers expense on it’s news shows. I love the ABC to represent the sensible political middle ground some day, but while it has no even vaguely conservatives in full time presenting roles on any of its TV and radio stations, that will be day a fair far off…. The ABC does not represent the sensible middle ground LOL. It’s just Sky News for the left. There is always the remote for TV news. Excellent start, first story and two fairly substantial ‘statement’ retracted! Yes David, the quote is from the ABC. Unsure when the incorrect article first appeared but the Sky News explanation has been out since early on the weekend. She obviously was still there when it happened and surely could have checked? It actually sounds like she stuck it out a while. How do you challenge Bernardi as a junior? It’s not like they would have given her airtime to interview him. But we don’t know if she did or didn’t? Would love to be a fly on the wall as a junior tells Bolt our Outsiders what questions to ask. Personally I don’t think it is realistic. And yet she got herself an article in the ABC , are you denying the young lady has the ability to speak to people in the media? Maybe if she can’t deal with Senator Bernadi having opinions different to hers (and let’s face it , he is not the only person in the country with those opinions), she is probably not in the right job, much less the right organisation. Given she was not on air I think it’s best to avoid presuming what conversations were / weren’t had privately. Let’s end on a point of agreement, that it was not the organisation for her, which she herself has volunteered. Cheers. Indeed Sky was not the organisation for her, but to your earlier point about the outsiders, you are aware one of the presenters of the outsiders is a woman of a Muslim background who grew up in post-revolutionary Iran? She doesn’t seem to have a problem with Sky! … that’s her application for the ABC newsroom then … wonder when she starts full-time in Ultimo?